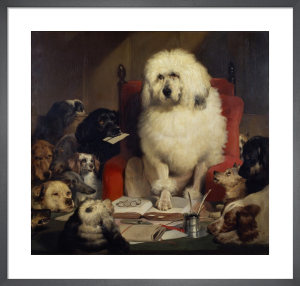 Landseer (1802-73) was a brilliant painter, loved for his scenes of anthropomorphic animals. 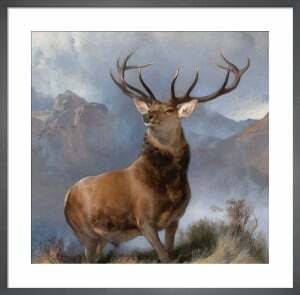 In 1824 Landseer made the first of many visits to Scotland where he fell in love with the Highlands - inspiring many of his later paintings such as 'The Monarch of the Glen'. After 1836 he enjoyed royal patronage when Victoria and Albert also discovered Scotland. 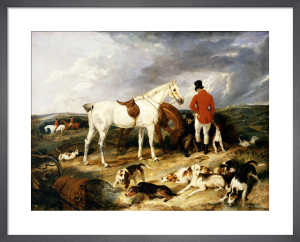 He paid his first visit to their home at Balmoral in 1850 to paint a large group portrait of the royal family. He also modelled the lions at the base of Nelson's Column in Trafalgar Square.